Prices at Tom's Fashion.com and at any Showroom in the United States are displayed in U.S. Dollars. Prices at any Showroom in Canada are displayed in Canadian Dollars. Customers shall be responsible for any currency adjustment, conversion and/or fee charged by their financial institution or payment processor when making payment and/or refund. Tom's Fashion reserves the right to change prices for products displayed at/on the Tom's Fashion Stores at any time, and to correct errors that may inadvertently occur, including pricing and promotions, even after you have placed your order. Price Adjustments: should Tom's Fashion reduce the price on any product within 14 calendar days from the date you placed your order, contact our Customer Service Team within that period to request a refund of the difference between the price you were charged and the current selling price. Please note that this price adjustment policy excludes limited-time price reductions, such as those during special sales, such as Black Friday and/or Cyber Monday. If you want to cancel or modify an order, please contact our Customer Service Team within 48 hours after placing your order for help. You won’t be able to make any changes, modify or cancel an order after this timeframe has expired. Promotional codes or coupons may not be combined, unless expressly stated by Tom's Fashion. In case more than one promotional code or coupon has been used by a customer when placing an order, whether intentionally or not, Tom's Fashion, at its sole discretion, reserves the right to: i) limit the number of the promotional codes or coupons applied to the order; or ii) cancel or modify the order. All promotions and discounts at Tom's Fashion Stores shall be subject to these Terms as well as the promotion’s own terms and conditions. In case of conflict between these Terms and the promotion’s own terms and conditions, the latter shall apply. Prices reflected on Tom's Fashion.com include shipping charges and any duty/customs charges unless expressly stated otherwise. If you’re asked to pay any customs charges on your order within the United States or Canada, please contact our Customer Service Team with the respective proof of payment. Additional charges may apply for duty and/or customs for addresses outside of the United States and Canada, which shall be the sole responsibility of the customer. Tom's Fashion believes that fit is the most important part of a good suit and we want you to receive the best made to measure shopping experience possible. Should the suit or any other garment you ordered need alterations, please see your options below. Make sure to apply within 30 days from the date your order was shipped for any alterations, remakes or returns. You will not be able to apply for any alterations, remakes or returns on your order(s) once the applicable period has expired. Please make sure to contact our Customer Service Team if you have any difficulty submitting any of your applications before the expiration of such periods. 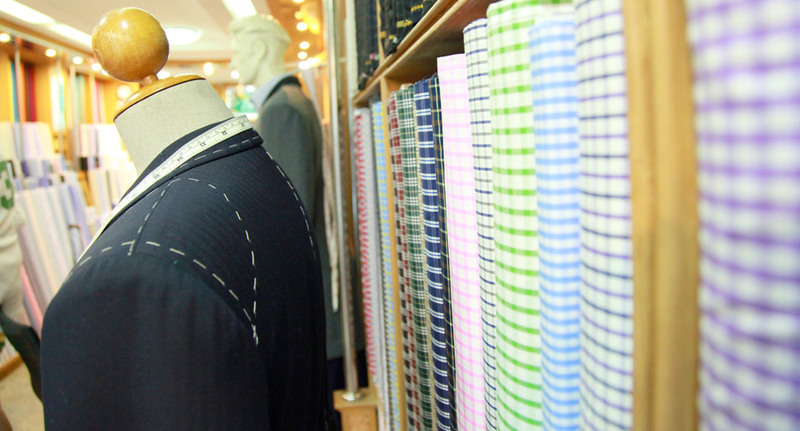 If you live in a city near one of our Showrooms, you can book an appointment for a Garment Adjustment once you have received your order through http://www. Tom's Fashion.com/showrooms.